Andhra Pradesh government lays down a foundation for the fintech innovation culture. 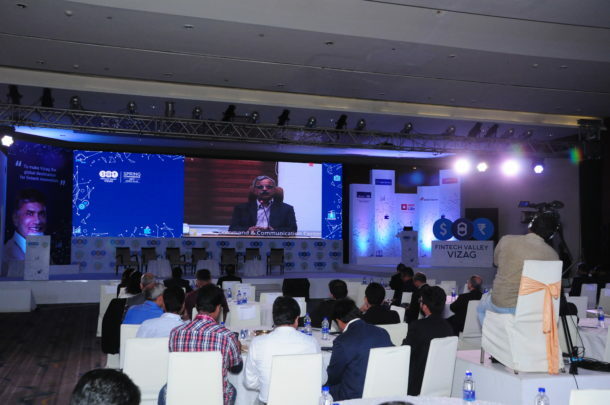 Visakhapatnam, March 10, 2017: The Government of Andhra Pradesh’s maiden two-day (9 and 10 March) initiative, #SpringConference 2017 concluded as a spectacular success with 300 Indian and international participants attending the event. Global corporations, governments and academia, along with thought leaders, entrepreneurs, artists and visionaries have come together in this valley to build capacity, infrastructure, market access, connectivity, funding channels, and incentive mechanisms nurturing a ‘fintectonic’ culture that disrupts traditional models of business and sets a platform for innovation and growth. Prize money of INR 5 Lakh and one year free office space was provided in the Fintech Tower in Vizag to Start-up challenge winners. Mr J Satyanarayana, UIDAI Chairperson and Former DEITY Secretary, addressing Spring Conference, Fintech Valley Vizag on March 10, 2017. “In India, there isn’t a problem with talent but with having the right attitude. Culture tends to eat strategy for breakfast. There is a need to create a shift in the mindset and to look at things differently. For this, I would propose the 3D’s – Digitalization, Differentiation and Disruption,” quoted Ms. Latha Ayyar, Special Representative for IT and Innovation to Government of Andhra Pradesh and COO, Bharti AXA at a panel discussion titled ‘Disruption in Insurance Value Chain – Role of Insurtech.’ Also contributing to this panel discussion in making insurance relevant to millennials and widening the insurance consumer market were Mr. Thomson Thomas, Chief Distribution Officer, HDFC Life; Mr. Girish Nayak, Chief of Operations and Technology, ICICI Lombard; Mr. Shwetank Verma, Director Collab (Open Innovation), MetLife; Mr. Shashwal Sharma, Partner KPMG and Mr. Varun Dua, Co-founder, Coverfox. KPMG is the knowledge partner for Fintech Valley Vizag Spring Conference 2017. There were three insurance challenges by corporate partners HDFC Life, ICICI Lombard and Bharti AXA. The overall winner in insurance category was declared as iProov. In the Banking Category, for the ICICI Bank Start-up Challenge 2017, Kyriba & Nimbuzz won relating to payments and remittances. In the Capital Market Category, the Angel Broking Start-up Challenge 2017, involving real-time social profiling of customers was won by Hello Soda & Blueocean. 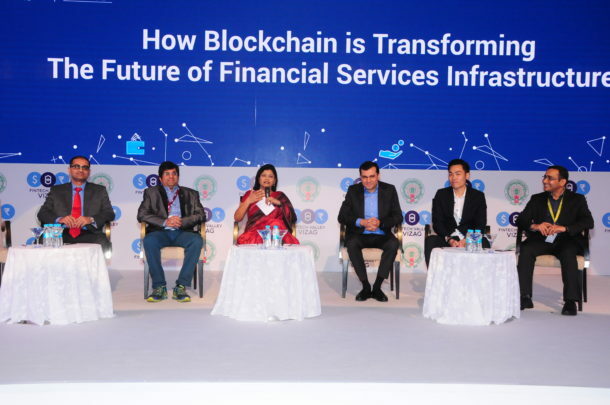 Contemplating ways in which Blockchain is transforming the future of Financial Services infrastructure, an interactive panel comprised of Mr Akshay Dhanak, Vice President, Business System & Technology, HDFC Life; Sudin Baraokar, Head of Innovation, SBI; Ms Rachna Nath, Partner, KPMG; Mr Vinay Agarwal, CEO, Angel Broking; Mr Paul Kitti, Co-founder, TenX and Mr Hitesh Sarda, Director, Value Labs. The speakers pondered on actions that can be initiated by institutions for reinventing themselves and jointly agreed that industry start-ups that develop the sentiment of trust would instigate disruption. The panelist also took inquisitive questions asked by the audience and shared their excitement for the fintech valley hackathon to be held later in the year. Panel – How Blockchain is transforming the future of Financial Services infrastructure. To encourage multi-disciplinary thinking that adds greater expressiveness and meaning to the fintech culture, the ‘finteract’ series – comprising of interlinking dialogues that connect to fintech and innovation – was launched. Mr. Nitin Saluja Founder, Chaayos; Dharmil Sheth, Founder, PharmEasy and Ms. Priyanka Agrawal, renowned design thinking UI-UX were the key presenters of ‘Finteract, March 2017.’ Finteract is curated and created by Adfactors XD. 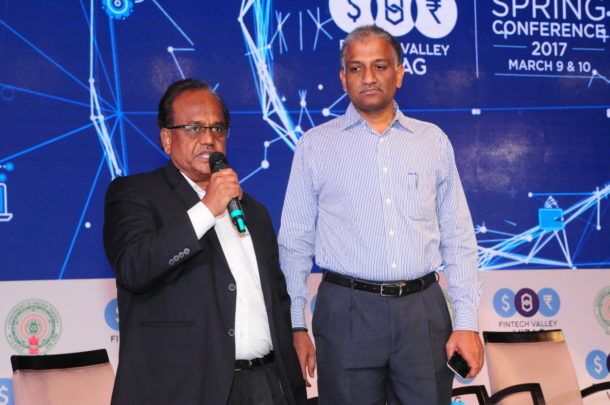 The first Fintech Valley Vizag Spring Conference offered a gateway to enter a sustainable fintech ecosystem and to contribute in nurturing a fintectonic culture of disruption, innovation and altering conversations. Next articleWhat is the best way for a small business to adopt growth hacking?